Welcome to the Nubian Oasis Hostel . 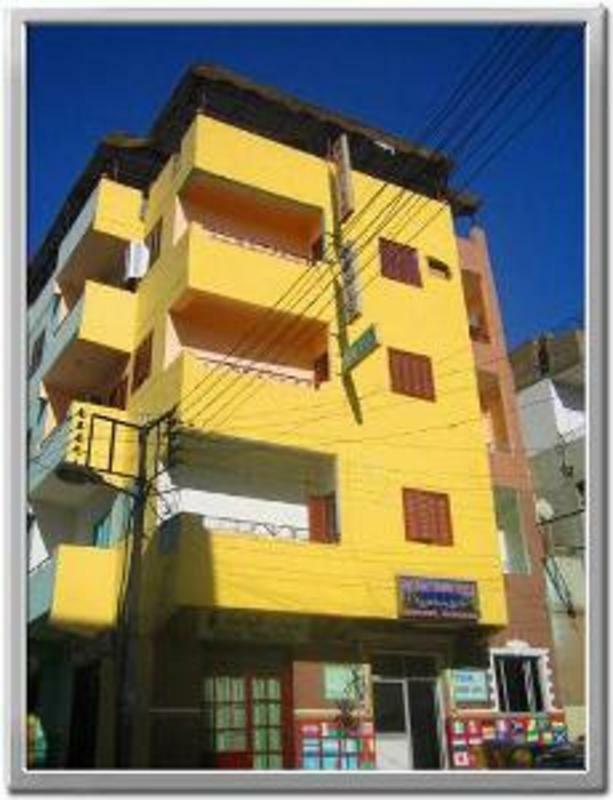 +there is pick-up from train station & bus terminal + Free internet & Wi-Fi + Free luggage storage + Free shower and use of hotel facilities after check-out. Never trust anyone saying Nubian Oasis Hotel is full, or closed. even if he has a business card from Nubian Oasis Hostel. Best hotel to stay in Luxor and to meet other people (students/ backpackers), both socially and as travel companions (fun is the key here). 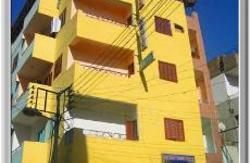 Nubian Oasis Hostel is located on Shari Mohammed Farid st around 5 minutes walk from Train station & Luxor Temple. Near the hostel there are; pharmacy, bank, restaurant, bar, supermarket, student cards office, bookshop, and shopping bazaar - El Souk. and some with air-con, but all with fan. and hot water 24 hours a day. Nubian Oasis Hostel has a nice roof garden, where you can enjoy having an Egyptian meal, Stela (beer), hot or cold drinks - fresh juice, various tea. and smoking shisha, watching satellite T.V. Also taking a rest with beautiful sun set in a swing. Sometimes you can have good times when dancing with other travellers and friendly staffs in Egyptian Pop Song. We will make an interesting holiday for you and help you for your holiday in the hostel. Many services are provided outside as well as inside Luxor. 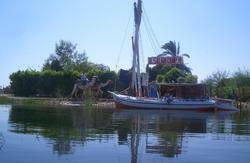 And Felucca Safari on the River Nile. You will have a great stay in Nubian Oasis Hostel. We are looking forward to host you in our hostel. Coming out of the train station, turn left up Manchia St for 200m then turn left up Mohammed Farid St for 200m. Hotel is on the left. It is a 5 minute walk, more or less. The hotel is a 20 minute drive from the airport, the bus station which is located near the airport. We can arrange a pick up from all location.